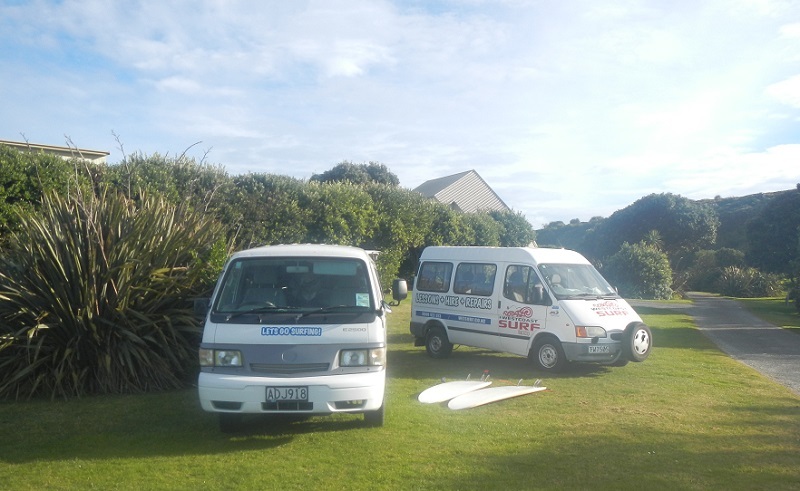 West Coast Surf has been operating from beautiful Tauranga bay for the past 16 years. Mark (Puke) Perana is the owner/operator and brings to you his vast experience and knowledge to each and every lesson. Mark has been in full time coaching either surf or snow for the last 23 years. He has in the past won National titles and coached the NZ team. Mark is a SNZ certified level 2 coach. 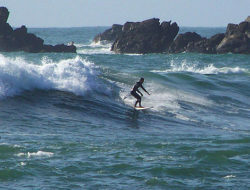 No matter what your level of surfing is, beginner or experienced, he can help you improve it! He is passionate about the art of surfing and enthusiastic about teaching it, with a strong focus on keeping you safe in the process. 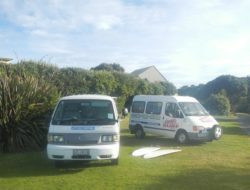 West Coast Surf offers group lessons daily at 10am or 2pm, each lesson is customised to your individual needs, surfboards and wetsuits are supplied. Private lessons are also available. 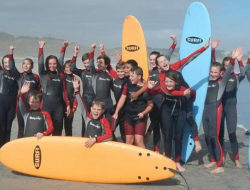 West Coast Surf also offer a great range of hire equipment from beginner boards to short and long boards, as well as wetsuits. 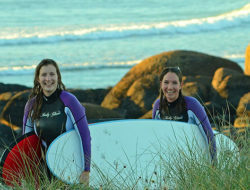 Give us a call today for all things surfing, you won’t regret it!